To nobody’s surprise, the UConn women’s basketball team finished its perfect season with an 82-51 victory over Syracuse in last night’s national championship game. If you’re the kind of jerkass who is constantly looking for reasons to slag women’s college basketball, you could point to UConn’s wire-to-wire dominance as a sign that the sport is stale and boring. Don’t do that. 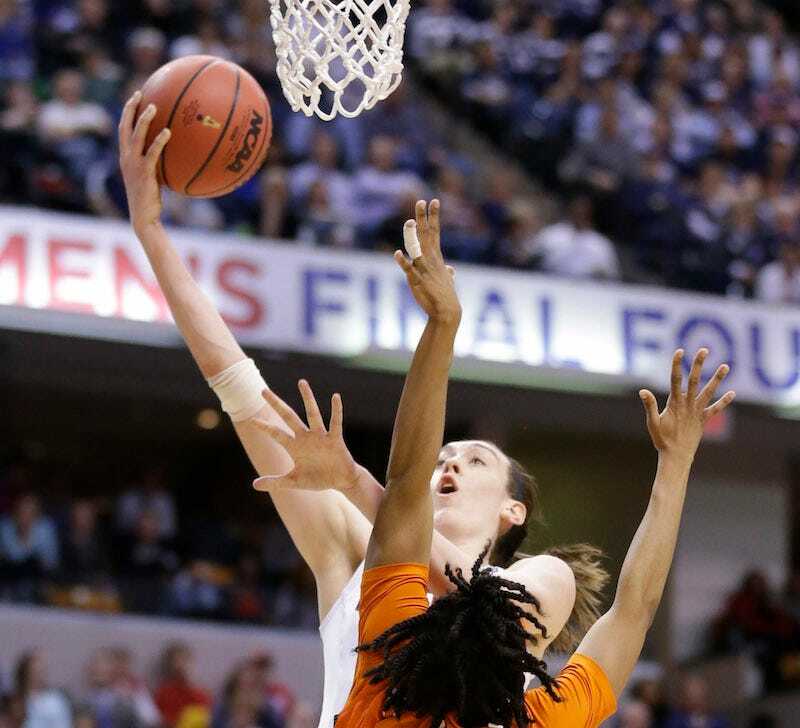 Instead, marvel at the career of senior forward Breanna Stewart. This (and this) is what it looks like when a truly evolutionary player is unleashed upon a sport. She was always going to win those four championships.